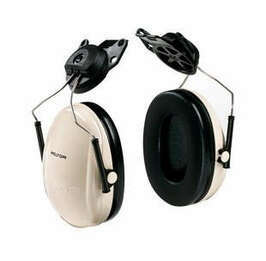 Peltor Optime 95 (also sold as H6P3E/V) Ear Muffs. With foam-filled ear cushions, this low-profile ear muff is ultra light weight and ideal for small adults. The helmet attachments are low-profile and attach via pivot points that tilt, providing a better fit, effective hearing protection, and extended comfort. These universal mount attachments let the Optime 95 fit almost any hard hat. Peltor Optime 95 H6P3E/V Hard Hat Model Ear Muffs (NRR 21)4OPereiraMay 27, 2012Low profile and ultra ligh future on this product it really great.